Williams, J H, III. New. Trade paperback (US). Glued binding. 176 p. Contains: Illustrations. Promethea, 2. New. 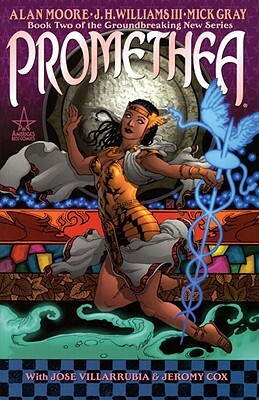 "Originally published in single magazine form by Wildstorm Productions as Promethea, 7-12"--Indicia. Num Pages: 176 pages, illustrations. BIC Classification: FM; FX. Category: (G) General (US: Trade). Dimension: 257 x 167 x 7. Weight in Grams: 294. 2003. Gph. Paperback.....We ship daily from our Bookshop.